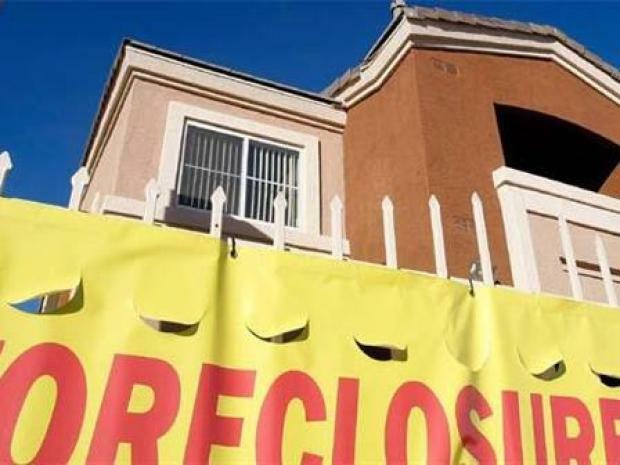 WASHINGTON -- The Obama administration's housing plan is intended to help 9 million struggling homeowners avoid foreclosure, but it leaves out tens of thousands of borrowers in the most battered housing markets who won't qualify because their homes have lost too much value. The program detailed Wednesday offers refinanced mortgages or modified loans with lower monthly payments. Yet its refinancing plan is limited to borrowers who owe up to 5 percent more than their home's current value. Loan modifications, supported by $75 billion in federal funding, are unlikely for severely "underwater" borrowers. In the California cities of Stockton, Modesto and Merced, more than one out of every 10 homeowners with a mortgage won't qualify for any help because they owe more than 50 percent more than their house's current value, according to data from real-estate Web site Zillow.com. The plan doesn't help homeowners in states "that are at the epicenter of the housing debacle," said Greg McBride, a senior financial analyst at Bankrate.com. President Barack Obama's plan may help some residents who are facing foreclosure in the Inland Empire. The ineligible households are concentrated in California, Florida, Nevada and Arizona, but can also be found in struggling cities such as Detroit and Grand Rapids, Mich. Even houses in the outlying suburbs of the nation's capital, where the economy is relatively healthy, have dropped substantially in value. For a homeowner who borrowed $380,000 and now has a house worth $270,000, "I just don't know what you do with that," said Jared Martin, a mortgage broker in Bethesda, Md. Government officials acknowledge that the initiatives are only a partial fix for a sweeping problem that has helped plunge the U.S. economy into the worst recession in decades. "This is not going to save every person's home," said Robert Gibbs, the White House press secretary. "The plan is not intended to ... augment somebody's loan for a house that they couldn't afford under any economic situation, good or bad." Of the nearly 52 million U.S. homeowners with a mortgage, almost 14 million, or nearly 27 percent, owe more on their mortgage than their house is now worth, according to Moody's Economy.com. Nearly half of all borrowers in Nevada were "under water" on their home loans as of December, according to First American CoreLogic. In troubled Stockton, nearly one in five borrowers owe more than 50 percent above what their home is now worth, making it unlikely that they will qualify for any aid. Though banks such as JPMorgan Chase and Wells Fargo & Co. issued statements praising the plan, there was also skepticism that banks would be willing to participate. "I've just seen so many of the programs not work," said Pava Leyrer, president of Heritage National Mortgage in Randville, Mich. "It gets borrowers' hopes up. They call and call for these programs and we can't get anybody to do them." The program has two parts: one to work with lenders to modify the loan terms for up to 4 million homeowners, the second to refinance up to 5 million homeowners into more affordable fixed-rate loans. For the modification program, which runs through 2012, borrowers who are eligible will have to provide their most recent tax return and two pay stubs, as well as an "affidavit of financial hardship" to qualify. In the affidavit, applicants will have to cite the reasons behind their financial woes, such as job loss or a drop in income. The government will then take steps to verify the information. Borrowers are only allowed to have their loans modified once, and the program applies for loans made on Jan. 1, 2009, or earlier. Mortgages for single-family properties that are worth more than $729,750 are excluded. Lenders could reduce a borrower's interest rate to as low as 2 percent for five years. Rates would then rise to about 5 percent until the mortgage is repaid. If the plan works as intended, it could be a big plus for borrowers such as Nick Kavalary, a network cable installer who lives outside Milwaukee. Kavalary, 42, struggled to get a loan modification from JPMorgan Chase. He was finally approved for one this year, but it only cuts his interest rate to about 9.8 percent from 10.75 percent. Even at the lower rate, he said, making the payment is nearly impossible. "If I can't pick up a second job, I'm going to lose this house," he said. "With the job market being the way it is, nobody's hiring nobody." The refinance program is only offered to homeowners with loans held by Fannie Mae or Freddie Mac. They have until June 2010 to apply. Consumers should contact their loan servicer -- the company that sends out their monthly bill -- to find out if their mortgages are held by Fannie or Freddie. The two mortgage finance companies own or guarantee almost 31 million home loans, more than half of all U.S home mortgages, and say they are lowering some fees to allow more borrowers to qualify. In Seattle, home prices are down about 13 percent from a year ago, compared with about 30 percent in Las Vegas, Miami and San Francisco. Seattle area mortgage broker Rhonda Porter says the plan is likely a big plus. "I think we're going to be inundated with business," she said. In the coming months, figuring out a way to qualify will be a big concern for many borrowers. Kevin Romanowski, 48, of Grand Rapids, Mich., has been trying to refinance for months, but hasn't had any luck because his property's value has sunk from about $115,000 two years ago to somewhere around $75,000 or $80,000. Romanowski, who works for an auto parts supplier, owes about $85,000 on his mortgage, so whether he qualifies for the new program hinges on his house's current value. "I've got good credit," he said, "I've got money in the bank, but yet I'm being affected" by the mortgage crisis.